Jim is committed to helping people make better decisions about money. Education and knowledge is the root of success. Beyond his articles, presentations and individual consulting, Jim has developed a suite of products to help people achieve more success, wealth and happiness. With over 5000 copies sold, Jim has been helping people sleep better at night with a book about conservative investing. Seven Strategies to Guarantee Your investments is the perfect book for investors who are discouraged by the volatility of the stock market. If your portfolio has taken a beating, then this book will teach you why it is important to guarantee your investments and how to enhance your returns but still play it safe. This book is for the truly conservative investor. Smart Tips for Estate Planning gives you what you need to avoid the trap of having an inappropriate cookie-cutter Will and estate plan. Instead, you will learn how to legally take advantage of tax breaks, avoid unnecessary probate fees, thwart creditors, and establish trusts for your children and grandchildren. Jim is giving away this book as a e-book free of charge. MUTUAL FUNDamentals is a powerful and compelling book on research and selecting top mutual funds in Canada. While other books today deal with similar topics, there are many reasons why MUTUAL FUNDamentals stands above the rest. Three of Canada’s foremost retirement and life educators bring their collective insights, experience and knowledge to bear on the problems that Canadians face in planning for retirement. Using 10 key planning principals, the authors outline a perspective on planning that incorporates lifestyle planning, management of credit and debt, investment planning, insurance and risk management, tax efficiency, legal and estate planning and income design. 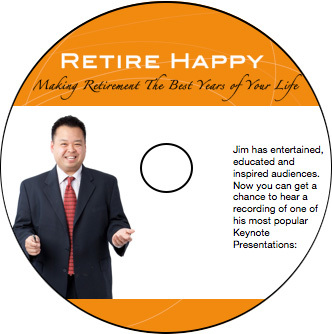 This DVD is a live recording of Jim presenting his one of his retirement workshops. In this DVD, you will learn Jim’s insights on how to properly plan for retirement from start to finish incorporating lifestyle planning, structuring retirement income, the role of RRSP and savings, how investing needs to be changed and re-evaluated in retirement and how to protect your plan from unforeseen circumstances. 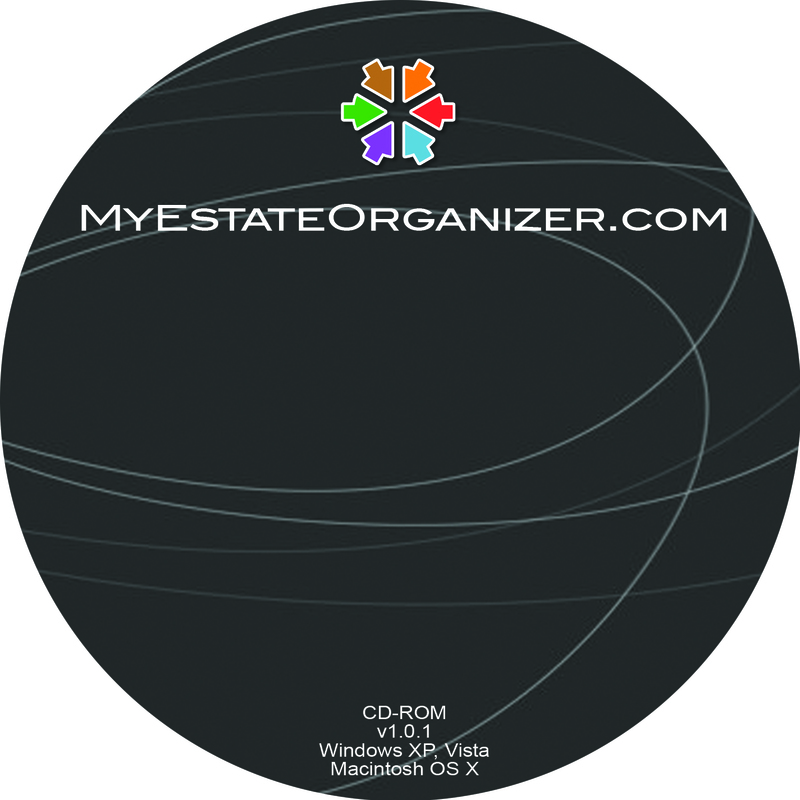 My Estate Organizer is a software program that helps people organize, diarize and communicate their estate affairs with the people they love. When someone dies, there are a whole bunch of questions that need answers and the only person with the answers is no longer here. Everyone else is left to assume what the answers might be and the minute people assume differently, family conflict often arises. Here’s your chance to help your executor and your family by providing crucial answers and information while you still can. My Estate Organizer is your chance to help the people you love most. 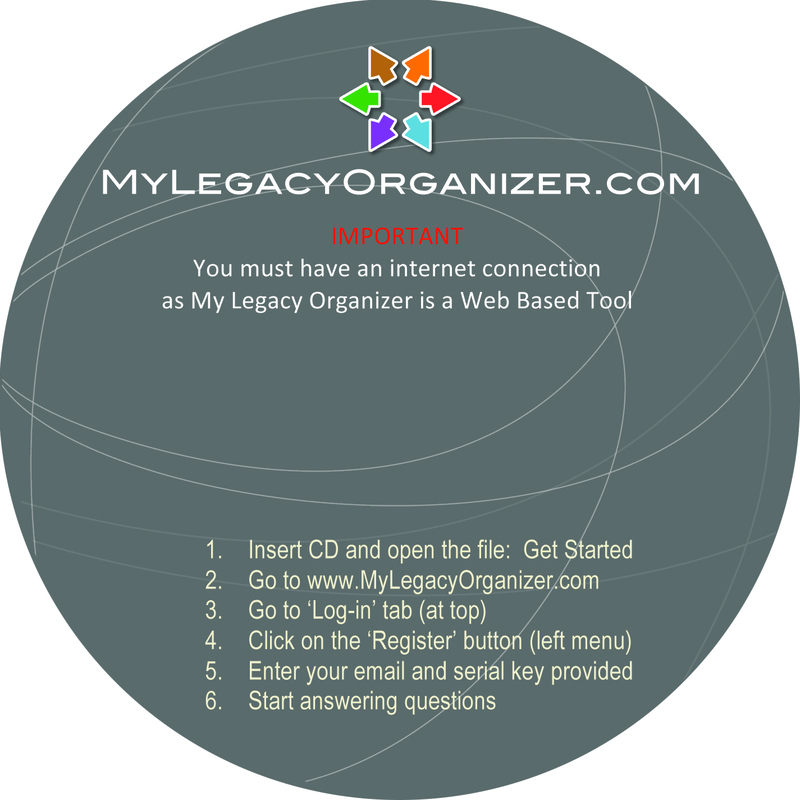 My Legacy organizer is a follow up software program to the very successful My Legacy Organizer. Everyone has a legacy to share. This tool helps people to diarize and preserve their memories, stories and legacy and share them with the people they love. I guarantee you, completing My Legacy Organizer will change your life and help you to recognize what is truly important. This CD contains a recording of one of Jim’s most popular keynote presentations on investing money. Investing is serious stuff because many think it is the key to financial freedom. 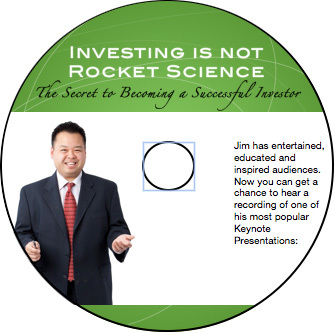 In this CD, you will learn Jim’s philosophy to investment success – Buy Low, Sell High. I know you may have heard this before and you probably understand why buy low, sell high works. So why then is it so hard to practice? Following the philosophy in this CD is guaranteed to make you a better investor. This CD is one of three recordings of his most popular keynote presentations. Jim has recorded his popular keynote on the secret to making retirement the best years of your life. This 55-minute audio CD is guaranteed to make a difference in retirement as it makes you think about what is really important to a happy retirement. This CD is one of three recordings of his most popular keynote presentations. Money is one of the biggest sources of stress in our lives. Fortunately, it does not have to be that way. In this audio CD recording, Jim shares his seven habits to more wealth, less stress and a path to financial success. This CD is one of three recordings of his most popular keynote presentations.